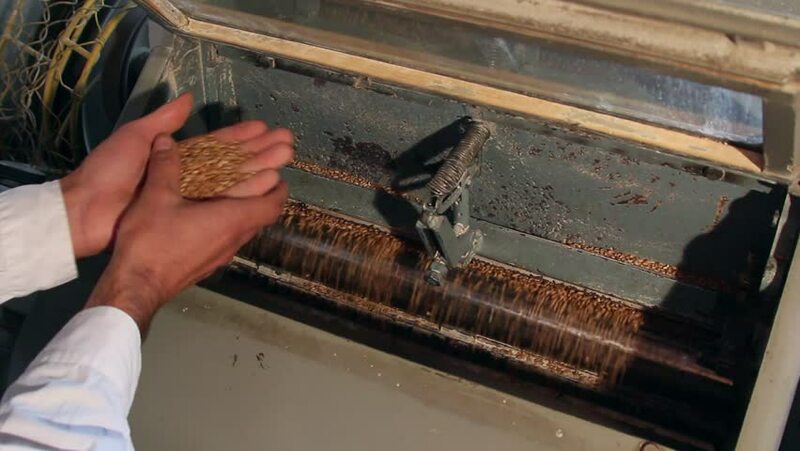 Wheat milling.Worker who control the quality of wheat. hd00:23Caucasian man in gloves opening drawer in old table and searching something in it. Then take away aged notebook. Retro stylized scene. 4k00:31Bees on honeycomb. Honey harvest. Beekeeper lady gently removes bees from the frame.